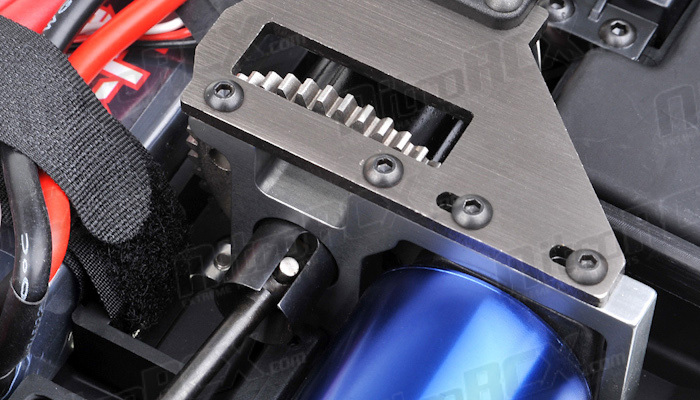 Experience the thrill of Short Course Racing! 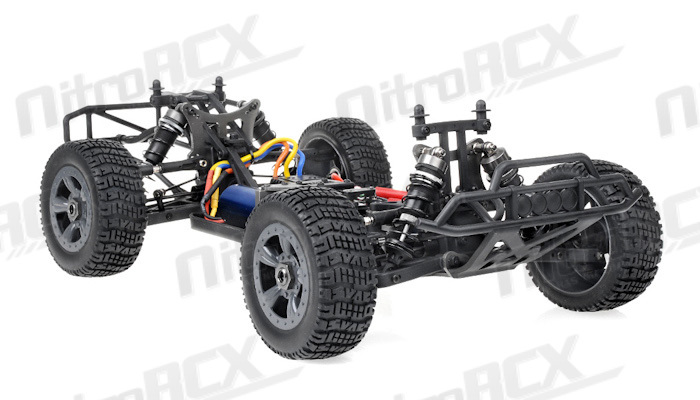 Enjoy the exciting power of four wheel dirt pounding power sliding action that only a four wheel drive short course truck can deliver. 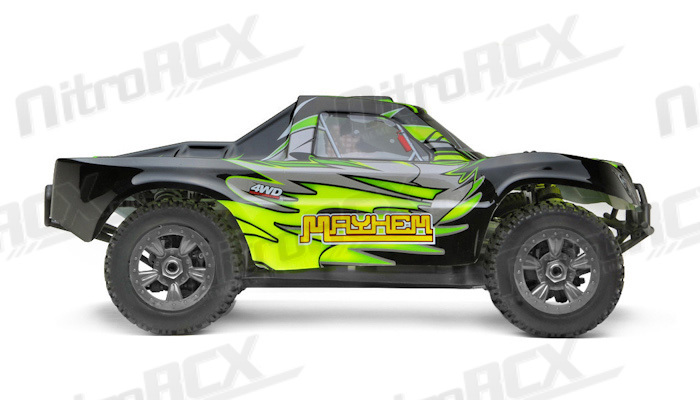 Look no further than the high performance Mayhem from Iron Track. 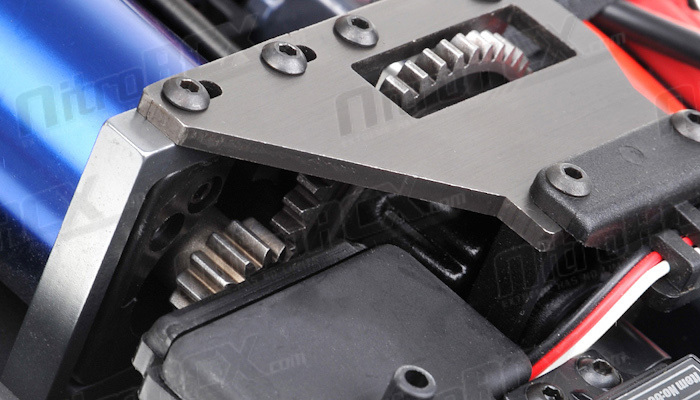 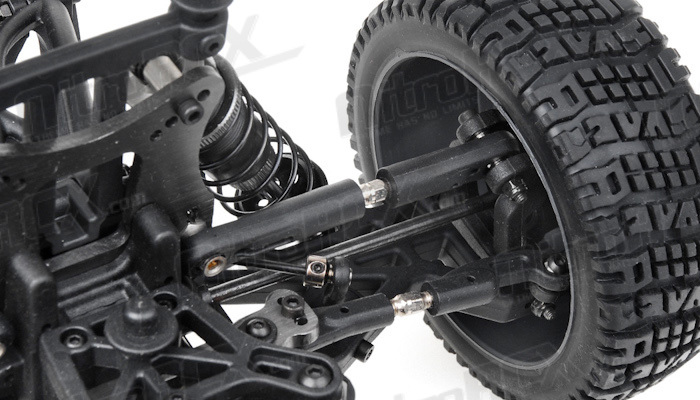 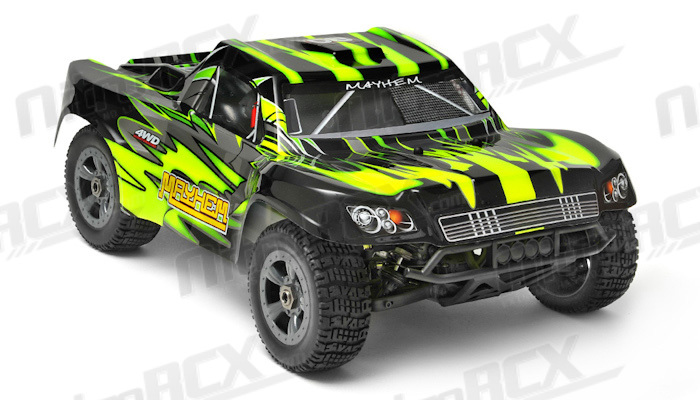 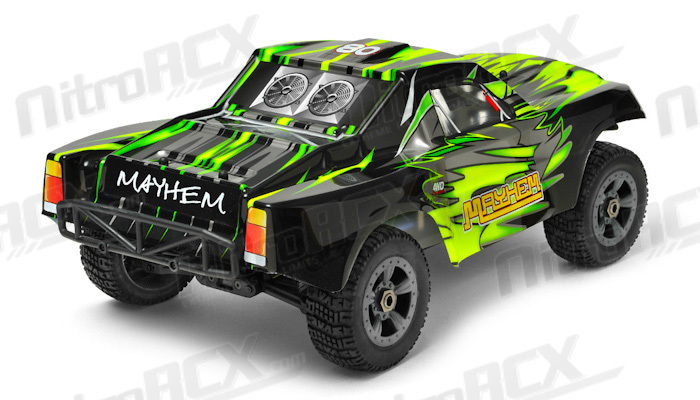 The Mayhem uses a three differential four wheel drive system to transfer the power to the ground. 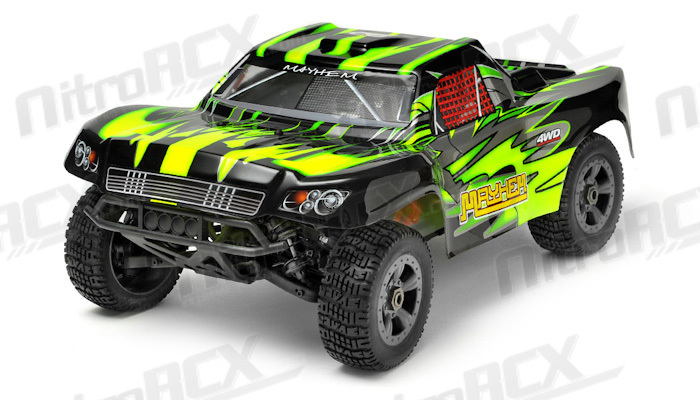 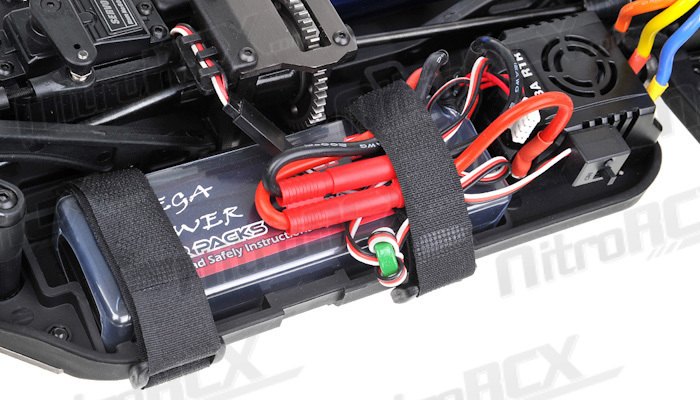 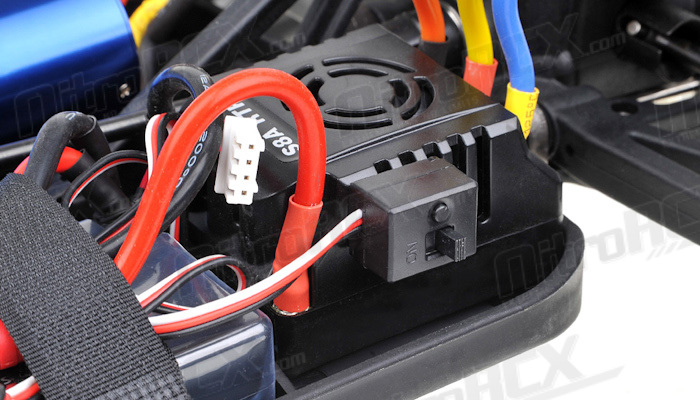 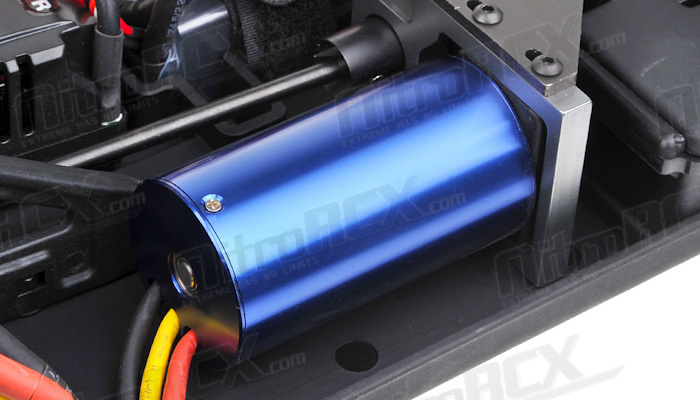 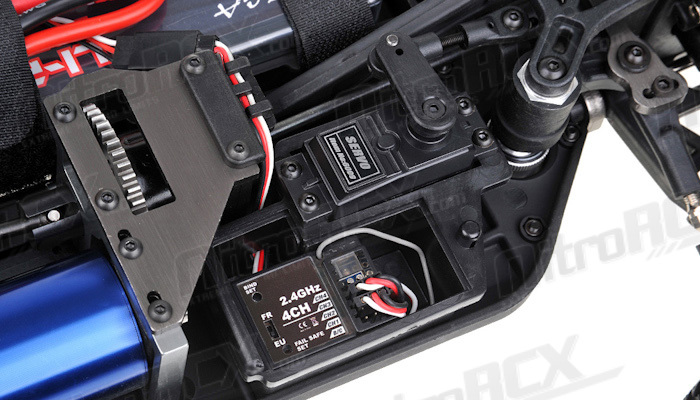 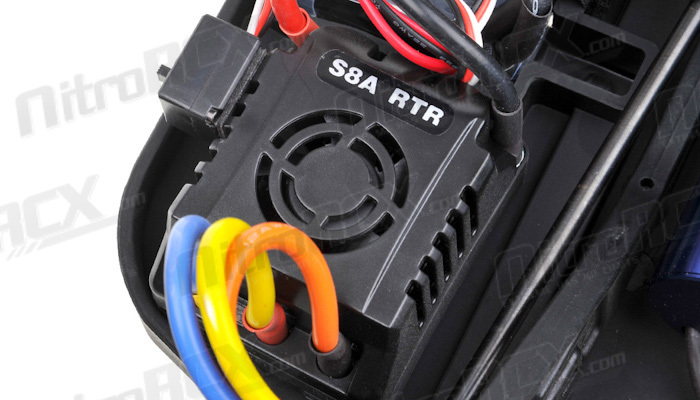 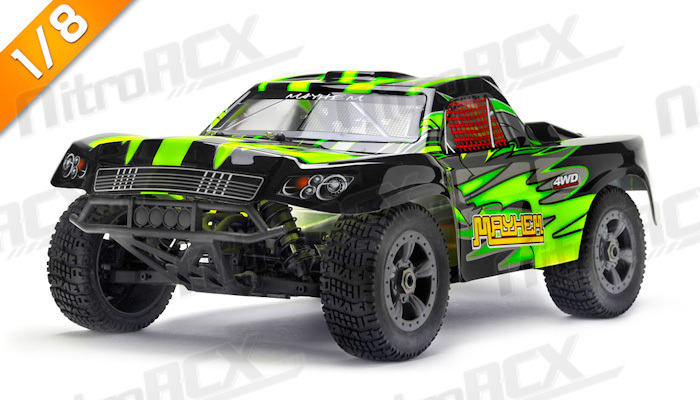 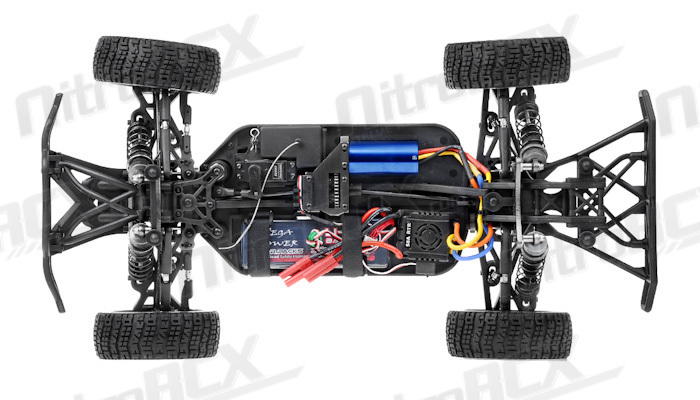 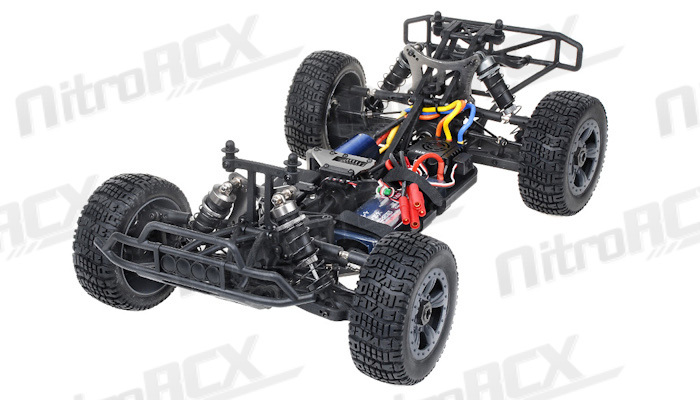 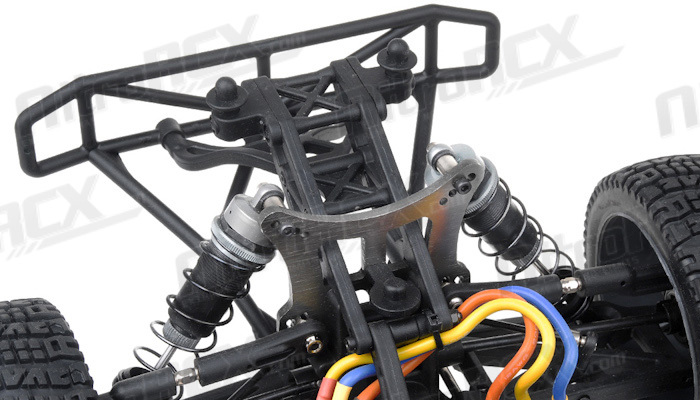 The power department is delegated by an 80amp speed controller and a powerful 36mm x 74mm 2075kv brushless motor enabling the driver manage those long impressive power slides that the Mayhem is capable of. 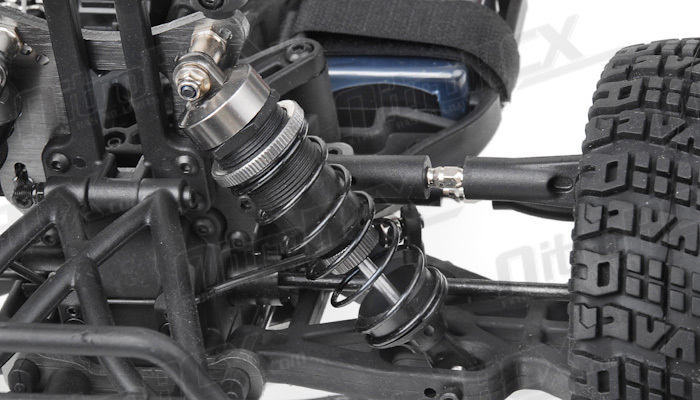 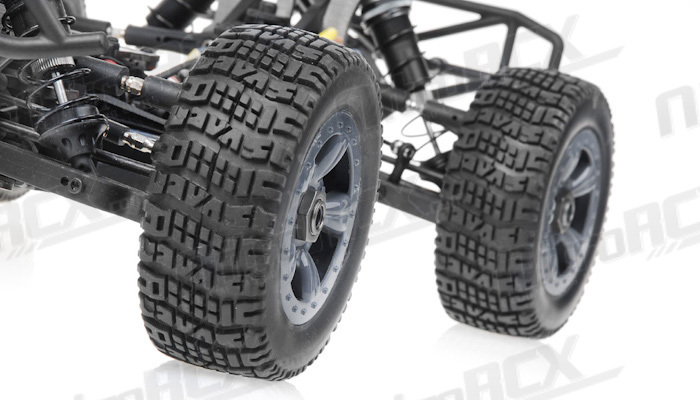 Taming all the jumps, bumps and ruts is the fully independent suspension system. 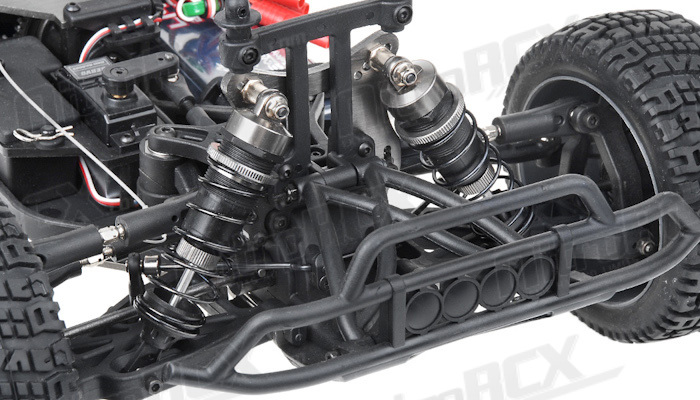 This system also features adjustable camber, roll centers and many other tuning options should you like to change your driving experience to totally dominate your competition. 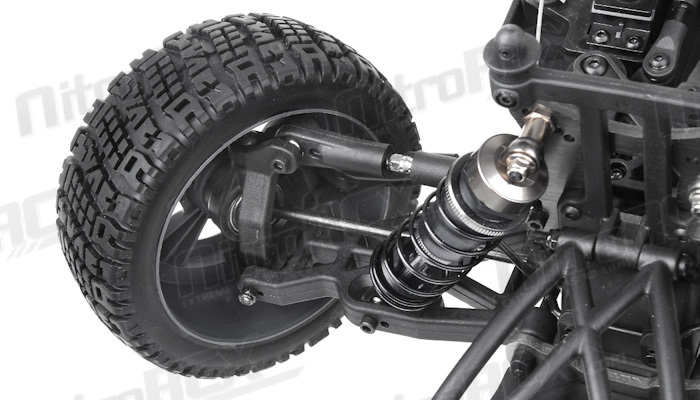 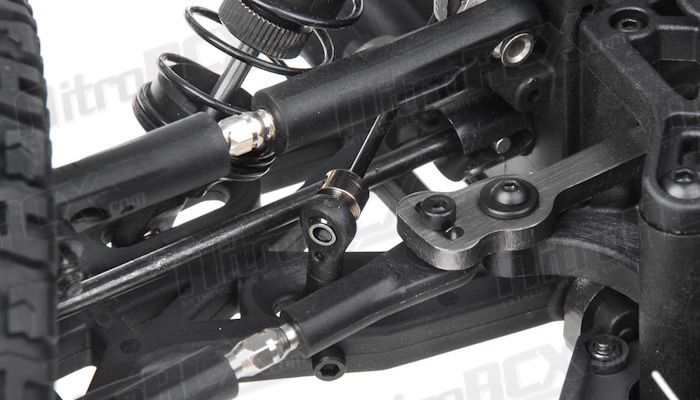 The high volume �Big Bore� oil filled shock absorbers are also fully adjustable, allowing you to fine tune your suspension to whatever conditions you are facing with your truck. 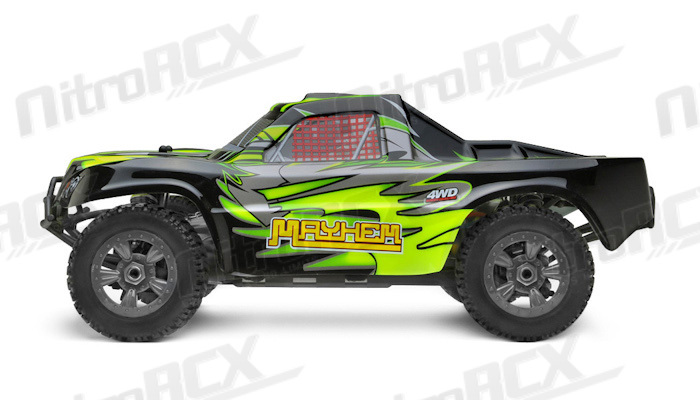 With all the dirt, dust, sand, smashing that this Mayhem is going to go through. 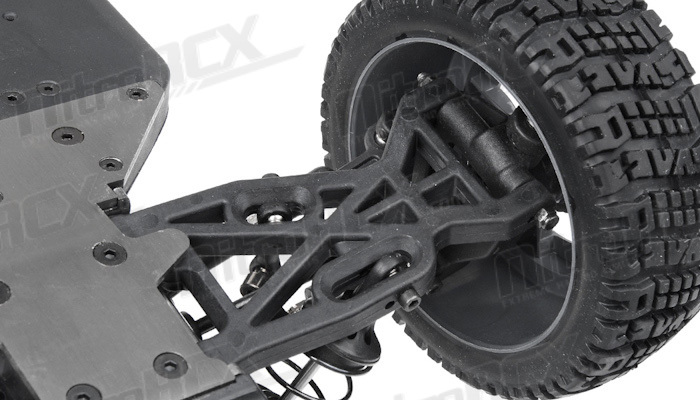 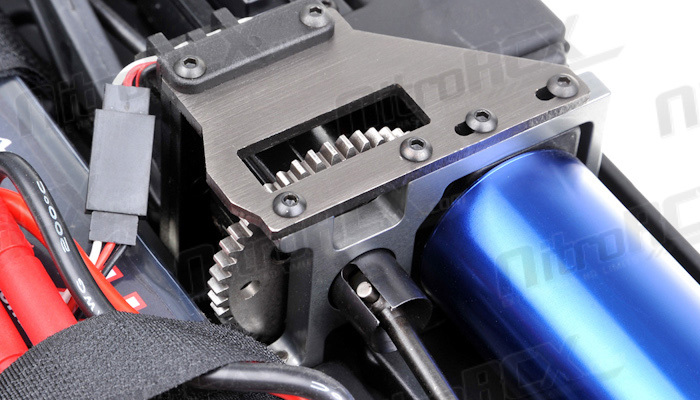 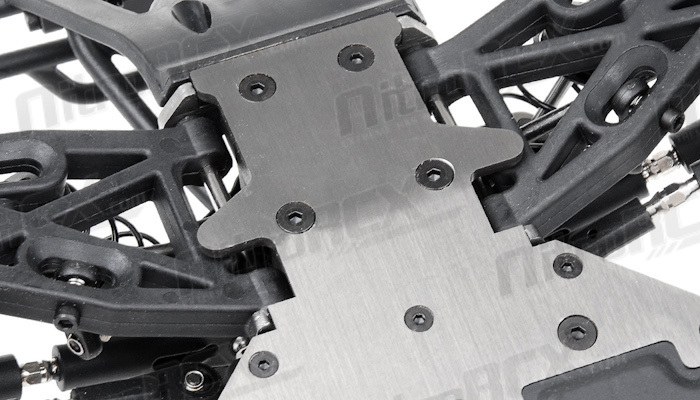 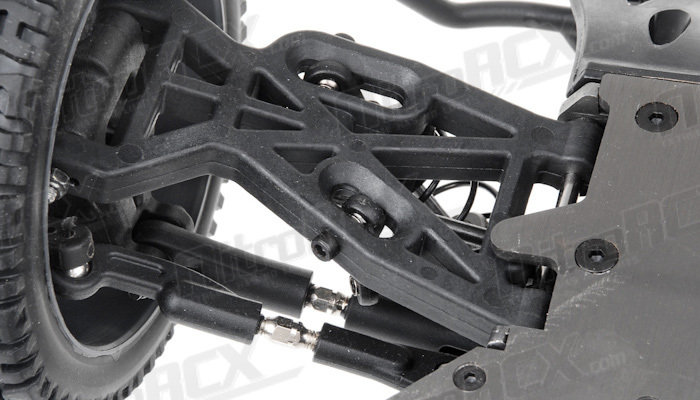 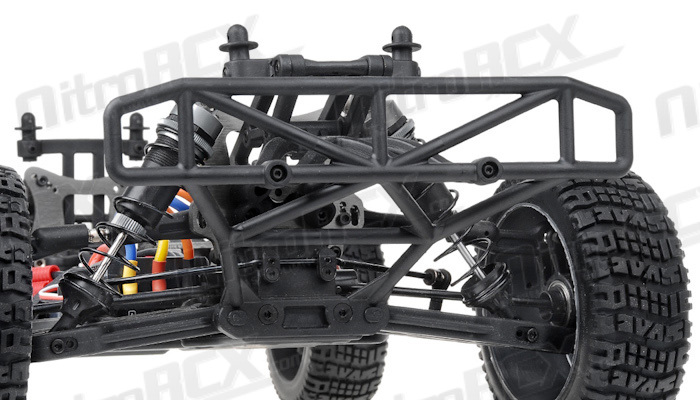 Iron Track even provides a �dust cover� for the chassis to protect it from the elements.